How does the creative services industry instill a culture of leadership that is inclusive by design? Over the past fifteen years, the Caribbean based design firm Abovegroup has acted as a sanctuary of big ideas and a driver of sophistication for building powerful brands. Since their founding in 2001, they have evolved their practice from leveraging strategic design for economic value to positioning ‘design for inclusivity’ as a metric of success in communities and nations in the Caribbean. This is especially true for their clients that directly impact neglected populations, such as victims of domestic violence in the case of the “Make It Stop” initiative designed for Population Services International – Caribbean, likewise for a variety of stakeholder groups related to large regional conglomerates, such as Guardian Group. Now a multi-city global design consultancy, the firm believes that access to good design is fundamental to individuals, organizations and societies in order to thrive. Abovegroup considers itself to be at its best when working on projects whose challenge calls for strong collaborators, ideals of inclusivity by project stakeholders, and outcomes that require generative value. Abovegroup envisions their future contribution as drivers of change and proponents for the power of inclusive design leadership. They look to influence how societies flourish, and offer participatory opportunities so the emphasis is on the ability to have many join the efforts to shape an inclusive and positive future. 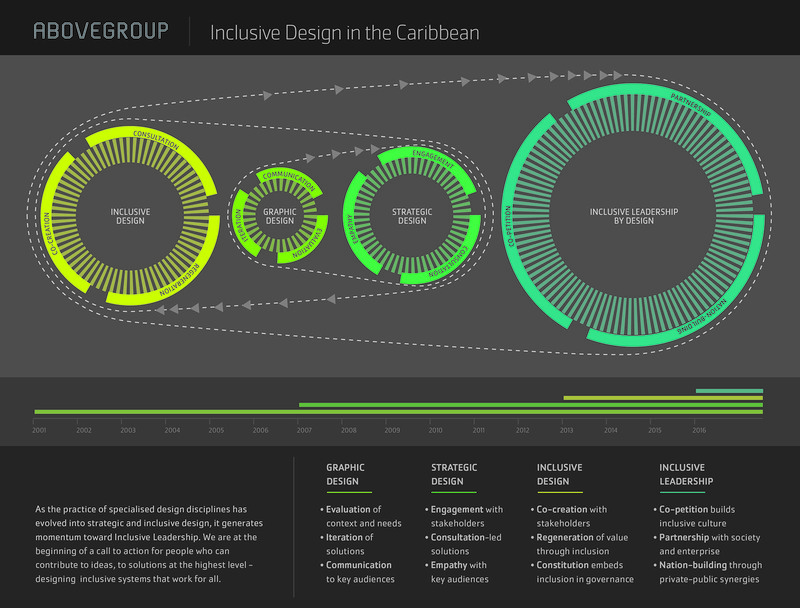 Infographic summarizing the evolution of Abovegroup’s practice, as well as design disciplines in the Caribbean, toward inclusive leadership by design. Trinidad and Tobago is a surprisingly complex and beautiful place that punches well above its weight. Take 54 years of independence from British colonial rule, add a frenetic mix of peoples and cultures from around the world, and blend with a massive oil and gas windfall, all under the hot Caribbean sun. In the hustle towards development and self-identification, it has not always seized the opportunities presented by inclusive design. This isn’t unique to Trinidad and Tobago; you can see this across the Caribbean, and indeed in many places around the world. The rapid injection of wealth managed by quick win, electorally-minded leadership and a thriving private sector has created a Design Gap. On the one hand, there are nimble startups and larger organizations who are well aware of the value and positioning that design can bring not just to their communications, but, increasingly, to their decision-making process. On the other are the plethora of small and medium-sized businesses and, most notably, the public sector, who may not currently leverage design for economic or social success. Abovegroup has been largely successful over the past 15 years by working with the private sector, creating strategic design frameworks, that in many ways, elevated the practice of design within this context. The first wave of projects were largely defined by helping organizations to understand the value of design, mainly by painstakingly separating design as a practice in itself, rather than something that was embedded in its ever-present associate, advertising. Advertising is one of the dominant creative industries in the space, and in many ways considered to be the only definition of design in Trinidad. This is changing with projects, such as the Fernandes Business Centre, where branding was mainly influenced by considerations for wayfinding and signage. Working with the Trinidad and Tobago Film Festival provided an opportunity to carve out a forum and central focal point for the film industry’s local and regional development, and how that was communicated through awareness and engagement. Ultimately these and other clients benefitted and continue to benefit from design, rather than design for advertising alone. PSI Caribbean (Population Services International) campaign Make It Stop, building awareness and positive action against gender based violence. 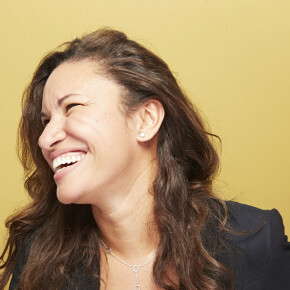 Creating a space in the market and educating clients is a slow process – particularly when you have a ‘no-spec’ approach in a largely speculative business environment amongst agencies. The presence of multinationals on the ground and the growing appreciation of branding has helped – for example Landor, a branding agency whose work with BP (a leading oil and gas company) has a large presence in Trinidad and Tobao and began to set the stage for a newly noticeable standard of communication. 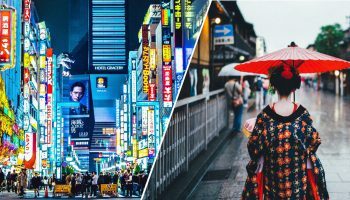 It also became accepted that if your target audience was abroad, as in hospitality, the communication considered to be acceptable for local consumers wasn’t going to cut it outside of the region. 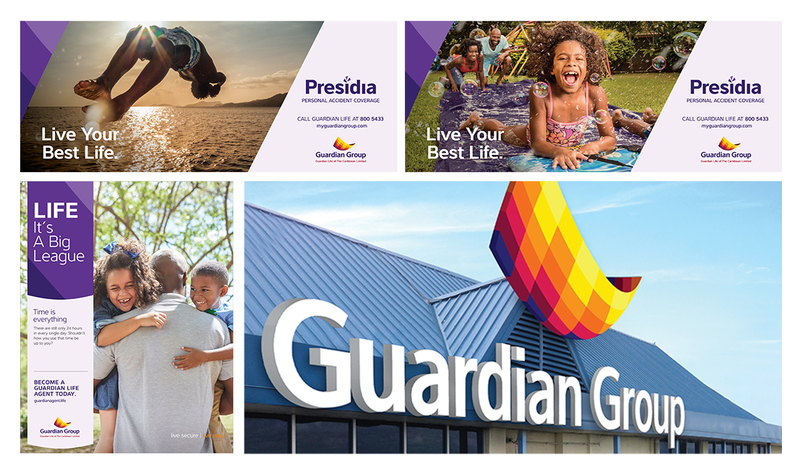 Guardian Group (clockwise from lower left) rebrand, recruitment campaign Life: It’s a Big League, and Presidia campaign Live Your Best Life. The recession of 2008-2009 saw the beginning of a second wave of projects that brought with them a need for a new approach, which would adapt to the new challenges, including stifling economic constraints. As it turns out, strategic design does rather well in economic downturns, as businesses seek optimal ways to build market share. Abovegroup grew rapidly. 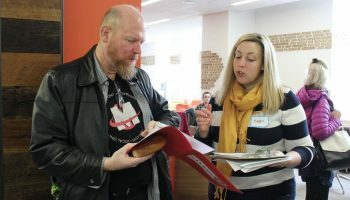 Our client projects would start out as design and branding conversations, and then morph into broader issues around company strategy, the company’s place in the communities they serve and the larger society. It was here that design strategy began to slowly move into the center, bringing with it the still nascent idea of inclusion by design. 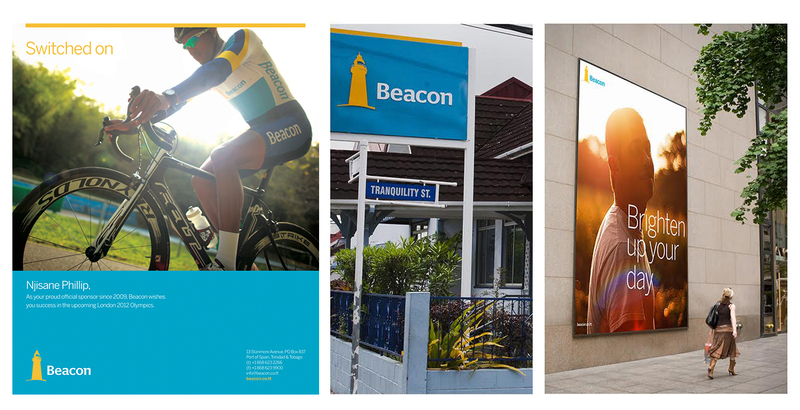 Regional financial institutions like Beacon Insurance Company Limited would consider deeper and more meaningful engagements with their publics through rebranding, it being a key part of overall business transformation. 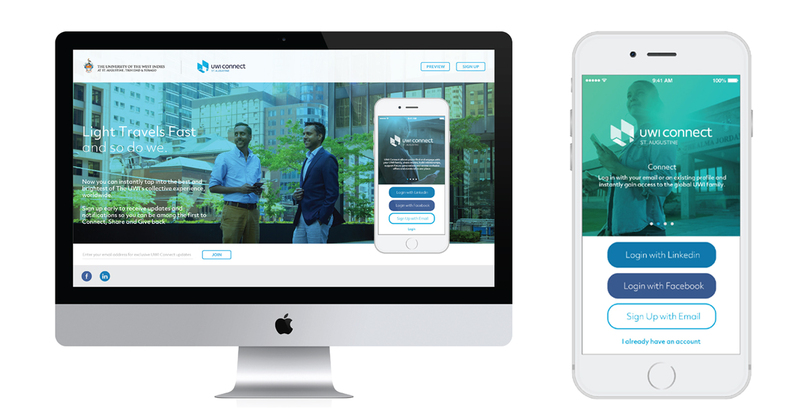 In this instance Abovegroup worked closely with Beacon’s executive team and assisted with crucial aspects of change requirements, balancing legacy with the need to present a renewed identity. There is one very large opportunity on the other side of the Design Gap. While the private sector was growing in the early 2000s, so too was government spending. The problem was then, and remains to this day, that little attention is paid to building inclusive design within public sector. Without any kind of clear plan, one designed to include all citizens, inclusion in design is, sadly, often defined by its absence. We can see this, for example, in the way that most public spaces lie under-utilized, unsafe and poorly maintained, while the few spaces that are accessible are either private or overused. There is largely an absence of meaningful signage, but a huge proliferation of unregulated outdoor advertising. The transportation network has very little space or consideration for public mass transport, almost constantly gridlocked with privately-owned cars. These are part of the crisis of opportunity within the design industry in Trinidad and Tobago. This is less due to a lack of funds or an unwillingness to spend, and more an institutional lack of empathy in considering people as equal participants, rather than as voters to be won over. Too often, transient and shiny prevail. The adoption of design is often a bit like masquerade costume design in Carnival – putting forward something shiny enough to get people to believe it has value, which lasts just long enough for money to be made and people to forget about it and move on, repeatedly. The National Academy for the Performing Arts is one such example. Built at great expense during boom times, its totally unfit for purpose. The stage unsuitable for performance. The loading bays cannot fit stage sets. The orchestra pit is unusable. The quality of the structure and suitability to the climate is clearly indicated by frequent closures and expensive maintenance. But the surface – glass and steel, sinuous, elaborately lit – heralds a ‘design’ landmark, which clearly was the main intent. It’s not all bad, of course, and there are examples of inclusive design, such as the Brian Lara Promenade in the heart of downtown Port of Spain. It is designed to have shaded spaces to sit, includes lovely tables with chess boards on them, places for those who prefer to navigate without bumping into the greater tide of pedestrians, and space for people who want to sit at the periphery. Of course this seems pretty rudimentary – after all, public squares have been around for quite some time. But in Trinidad this is notable, because it was commissioned by the government, because it works, and most importantly, because there was some kind of genuine consideration of people in the design. So what can firms interested in learning and practicing inclusive design do to create the change in attitude in the public sector that we have seen in the private sector? By slowly chipping away on a project-by-project basis, we can, with other like-minded practices, gently introduce a more inclusive approach to leadership by design. Without setting out to do so intentionally, Abovegroups’ work over the past fifteen years has contributed to this. The problem with this is the ‘gradual’ bit. The problems that the country faces are real, present and urgent – crime, social and cultural alienation, lack of economic diversity and environmental collapse. The answers are already around us – waiting another decade or two for government to adopt them is not just frustrating, but indeed fruitless as the depth and complexity of these issues won’t be waiting around as well. The reality is that unless you are aligned to the political party in power, your chances of getting any of this kind of work is very slim when the few opportunities do actually appear. Abovegroup is currently working with the Alliance for Rural Communities of Trinidad and Tobago (ARCTT), which is focused on developing sustainable, rural, locally-owned cocoa and chocolate producing businesses by collaborating with government and community stakeholders, bringing the periphery to the center. The chocolate brand’s key proposition of celebrating the richness of new beginnings is an homage to the quiet, revolutionary act of closing the gap between the farmers and the production of the chocolate, even by stating the name of the community prominently – in this case the villages of Biche and Cushe. It is a driver of sustainable growth, innovation, financial stability, togetherness, and a foundation for long term regenerative value. 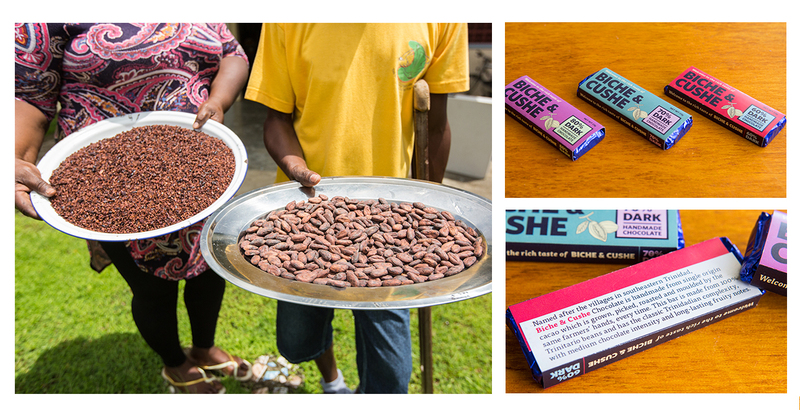 Cocoa farmers in Biche and Cushe showing cocoa nibs and beans (left); identity and label design for finished product (right). The idea that at some point, someone in power will come along who is fully tuned into inclusive design, who has a grand and (to us) complementary view of the world, and will enact sweeping changes at all levels. The issue here is that with this is that there is a significant deficit in inclusive leadership – not just locally, but globally. 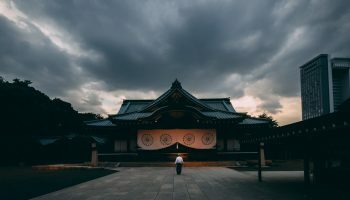 As the world slowly begins to reconcile itself with neoliberalism and globalization, the limitations of the dominant ideologies of the past thirty years and awareness of the vast cultural, economic and environmental divide becomes clearer, so far, very little in terms of inclusive leadership has emerged to address these pressing issues. That is ripe for re-orientation. Design is tremendously powerful and in the past has been inseparable from politics. Why not re-engage? We are seeing the collapse of traditional notions of politics, leaving a space easily exploited by extremists and opportunists. Over the next decade, we are going to need to see the rise of new types of politics – inclusive by nature, problem solving by design. What will be the role of designers in shaping this kind of political philosophy? We are at the beginning of a call to action, of people who can contribute to ideas, that will bring about better solutions at that very high level – designing systems that work for all, for the disenfranchised, for the generations to come. The beauty of the massive, unavoidable problems of the 21st century is that the crisis of opportunity calls for many different people sitting at the table. As designers, shaping attitudes and behaviors through the expression of intention, it is our responsibility to lead the charge. Without any clear leadership, inclusion in design is, sadly, often defined by its absence. We can see this, for example, in the way that most public spaces lie under-utilized, unsafe and poorly maintained, while the few spaces that are accessible are either private or overused. attention to inclusion’s absence whenever and wherever you see it. inclusion as the core intention of every design project. make it your responsibility to show how design shapes the behaviors and attitudes that give inclusion its value. your culture of leadership and decision-making around inclusive design. 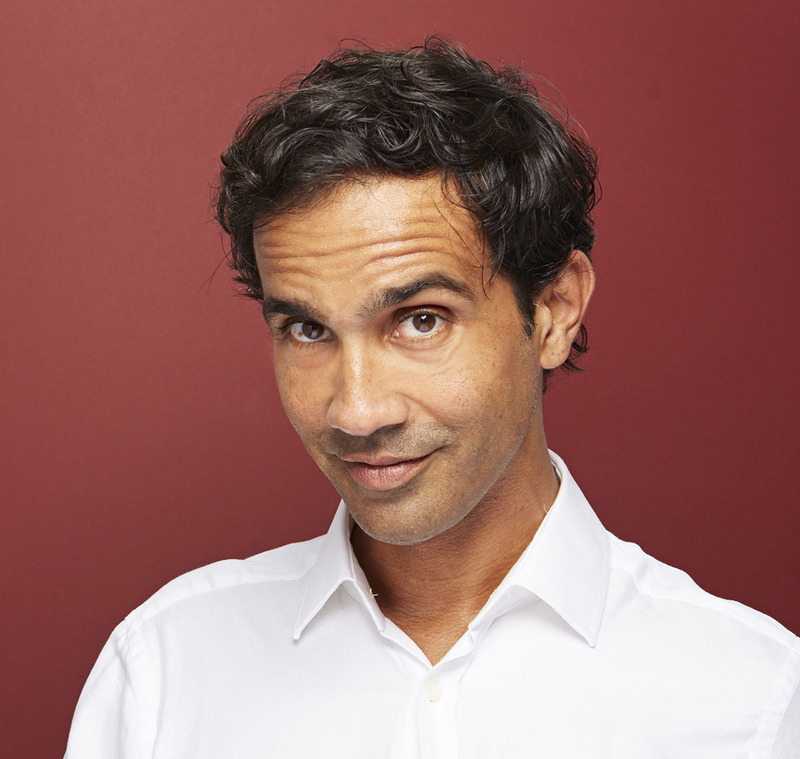 Gareth founded Above, the precursor to Abovegroup, in 2001 and has since been working extensively in the fields of branding, graphic design and communications strategy. A prolific hat-wearer, Gareth’s contribution to Abovegroup as Managing Partner includes leading company strategy, new ventures and partnerships; developing and presenting creative and business strategies; creative direction and graphic design; and verbal branding, naming and writing. He’s a big believer in engaging and building communities, having started Show & Tell, Abovegroup’s monthly series of talks. He is also working on getting Trinidad and Tobago’s first professional design association off the ground; serves on the board of Plastikeep (Trinidad and Tobago’s largest environmental management company); and advises a number of start-ups on business and communications strategy. 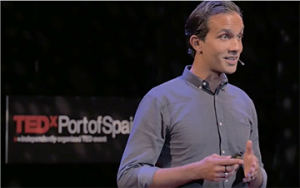 Gareth has also recently spoken at TEDxPortOfSpain on the importance of design and empathy in Trinidad and Tobago society. innovation and environmental analysis. She conducts research into brand trends and market developments to develop invaluable insights that deliver smart solutions. An alumnus of the Design Management program at Pratt Institute, she creates value that is financially, socially and environmentally sustainable. She is also a practicing biomimic.